Oh, no! Molly Rose Balms currently doesn't have any offers on Vegan Cuts. However, check out our monthly boxes for vegan items delivered right to your door! Molly Rose Balms handcrafts vegan, organic ingredients with a kaleidoscope of colors and scents to create balms and scrubs perfect for any palette. Creator Molly Levine has been dreaming up fantastically imaginative combinations in her Maryland workshop since 2011. Every product in her line is 100% vegan, cruelty-free, paraben-free, and petrochemical-free. 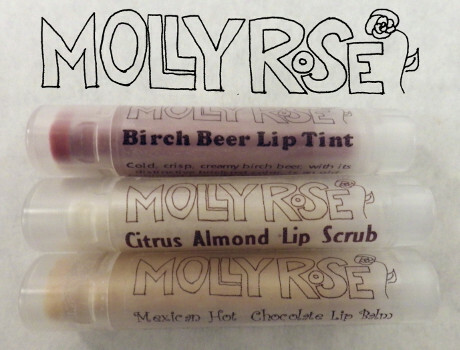 Follow Molly Rose Balms and get notified when they add new offers to Vegan Cuts.